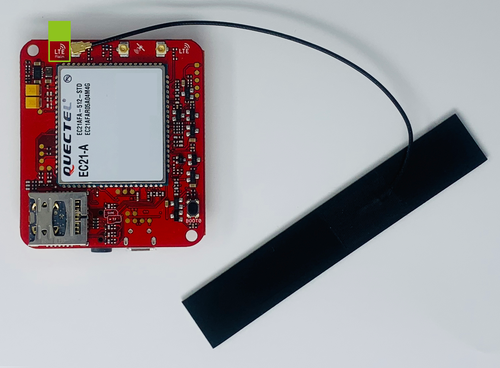 Using these instructions and the Wio LTE from Seeed Studio, you'll quickly connect to the internet using Twilio's Programmable Wireless. We'll use the Arduino IDE in this quickstart. Although we recommend the Arduino IDE, code and instructions should work (at least partially) in other C/C++ workflows. Alternatively, you can adapt another lithium battery as we did. We used these adapters on Amazon. Carefully note the polarity of the jack when building the harness. I'm active! Let's plug things in and get ready to connect! 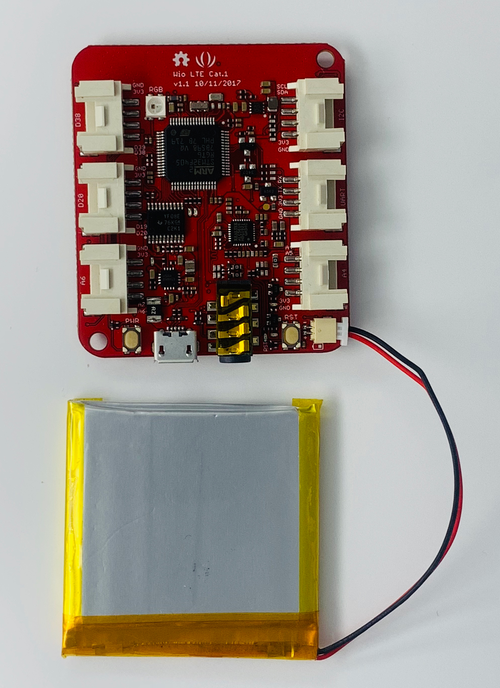 Locate the JST connector and plug the Lipoly Battery into the board. The battery must be plugged in at all times for connectivity to work. The finished setup will look similar to the image below. Plug-in and configure the Wio LTE. 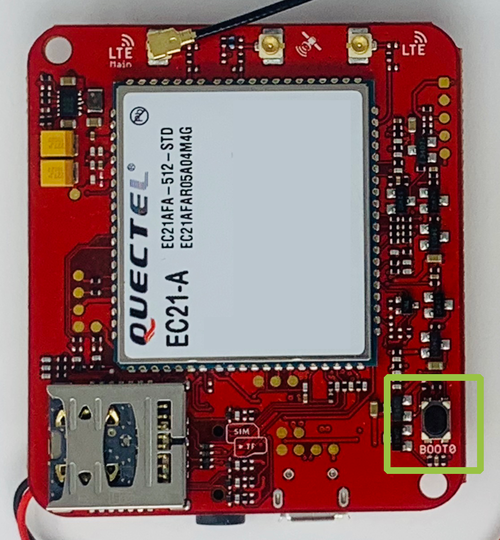 Next connect the Wio LTE to the computer using a Micro-USB cable. 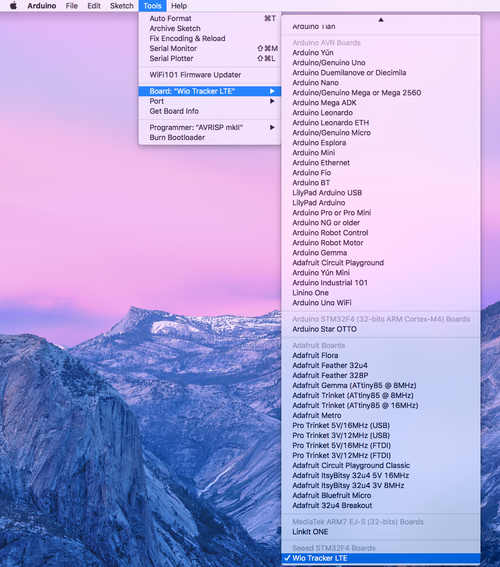 The Wio LTE does not need a USB-Driver for the Macintosh. 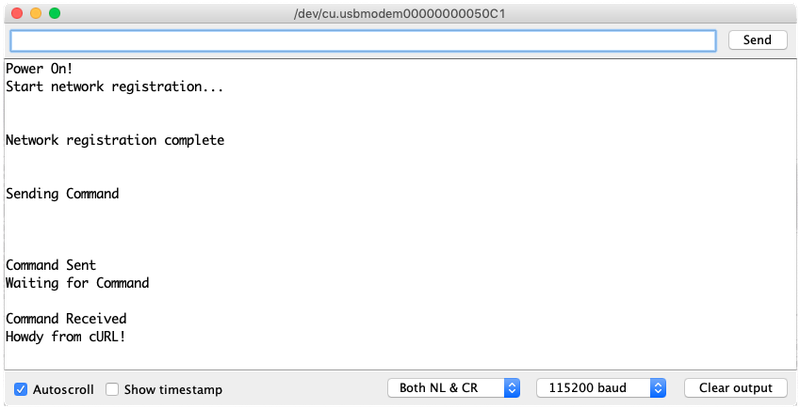 Instructions for installing the Wio LTE USB-Drivers for Windows and Linux can be found here. 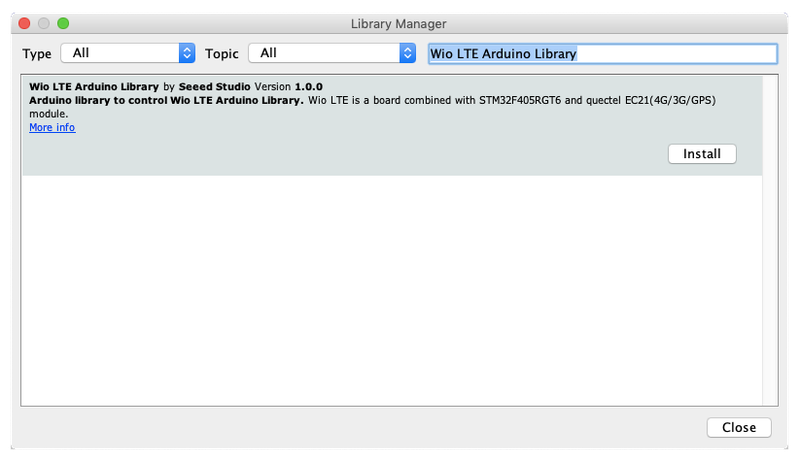 Setup the Arduino IDE to work with the Wio LTE. 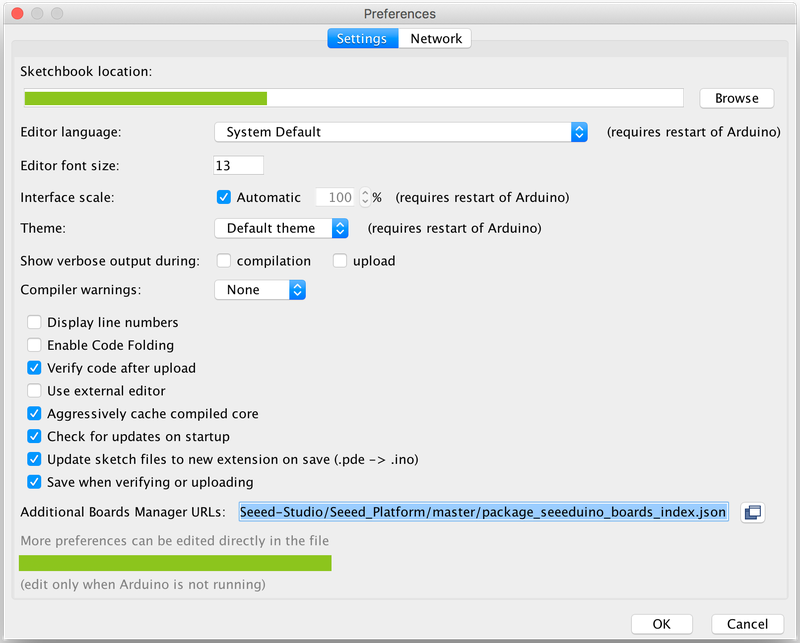 In the Arduino IDE, go to Sketch > Include Library > Manage Libraries. 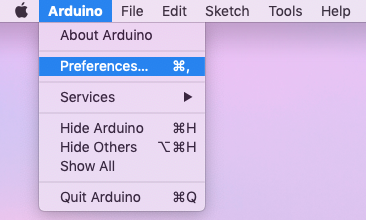 Go to Arduino > Preferences. 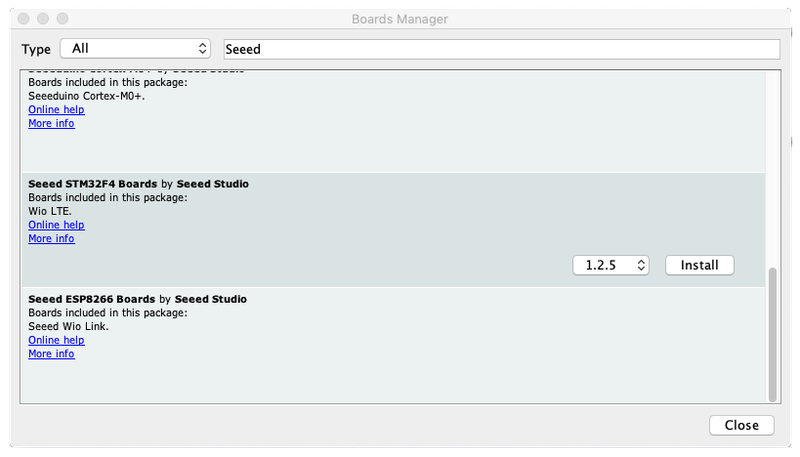 Find Additional Boards Manager URLs and paste the following JSON URL. Go to Tools > Board > Board Manager. Search for and install the Seeed STM32F4 Boards package. 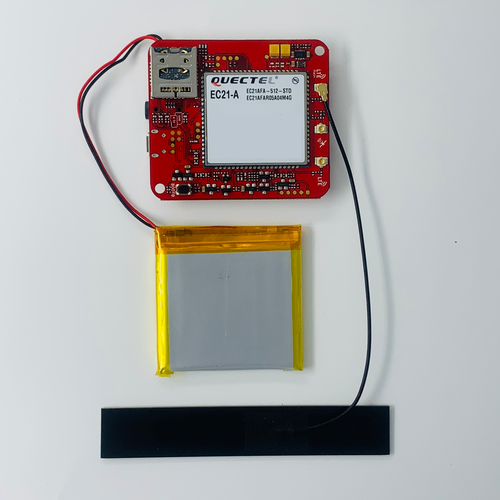 With the STM32F4 cores installed the Wio LTE is now ready to be programmed. Next select the board and the board port. Change the mode before we can flash the Wio LTE. 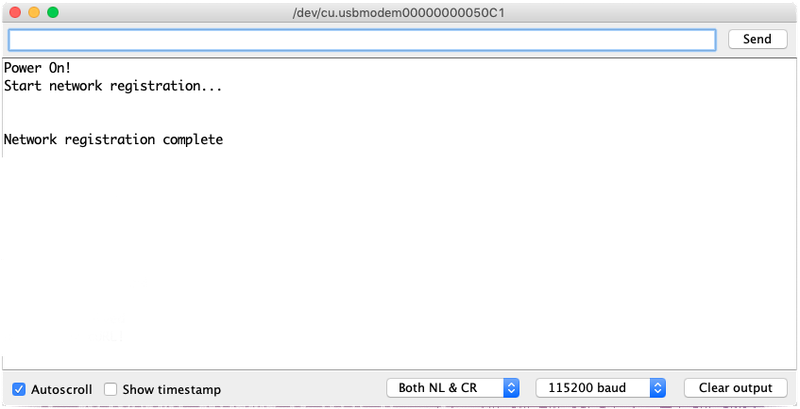 To upload code to the Wio LTE the unit needs to be put into Bootloader mode. Press the RST button once while holding the BOOT0 button. Now, release the BOOT0 button to enter Bootloader mode. Let's flash the Wio LTE with some code. Open the file m2m_command_wiolte.ino. Alternately, you can copy/paste the code into a new Arduino sketch using File> New Sketch. The progress of the upload can be viewed in the pane underneath the code. Once the upload is complete exit Bootloader mode by pressing the RST button once. This will start the new program that was uploaded to the Wio LTE. 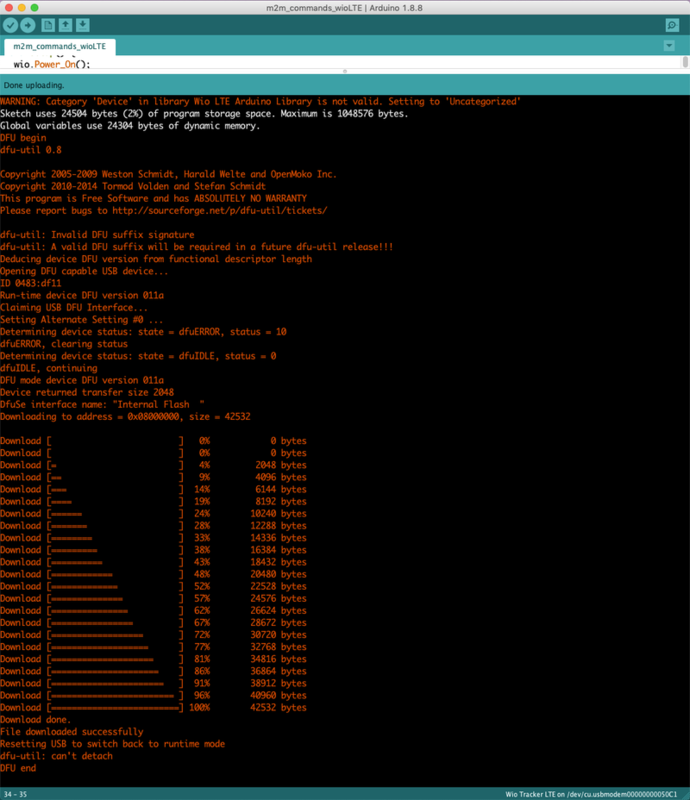 After restarting the Wio LTE open the Serial Monitor in the Arduino IDE. 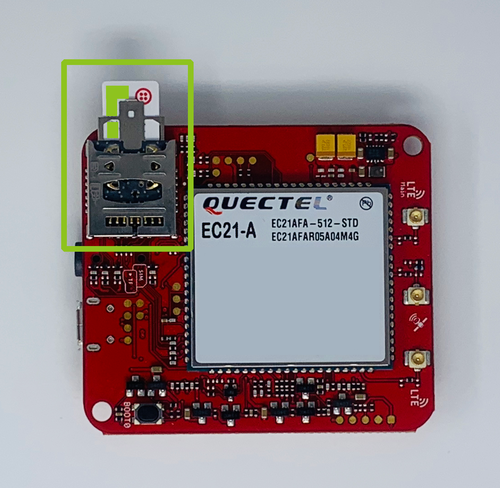 How do you send a M2M command with the Wio LTE? Behind the scenes, the SIM sends an SMS message to the reserved phone number '2936', a Command resource will be created and your Commands Callback URL will be invoked. This shortcode uses the SMS transport to send a Command which can be seen in an App or inside the Wireless console. 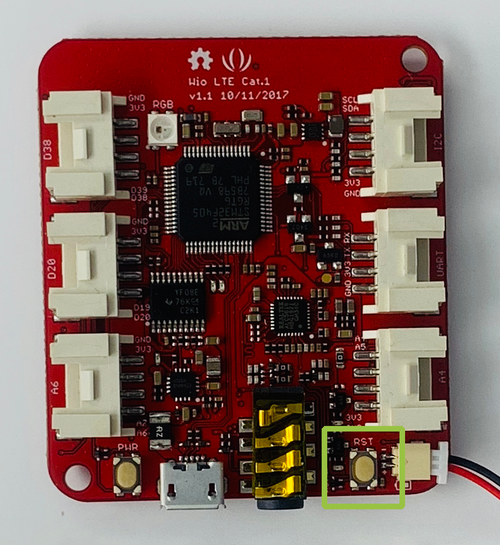 As you might guess, we will implement the reverse - you'll receive an inbound SMS from 2936 on the Wio LTE triggered by an API call using the SIM's Sid. Let's look at that next. To test this out, return to the Arduino IDE and make sure the Serial Monitor is still connected. The fastest way to respond to a command is to use cURL if available. And that's all there is to Machine to Machine commands with the Wio LTE. You now know how to send Machine to Machine Commands and check their status in the console. 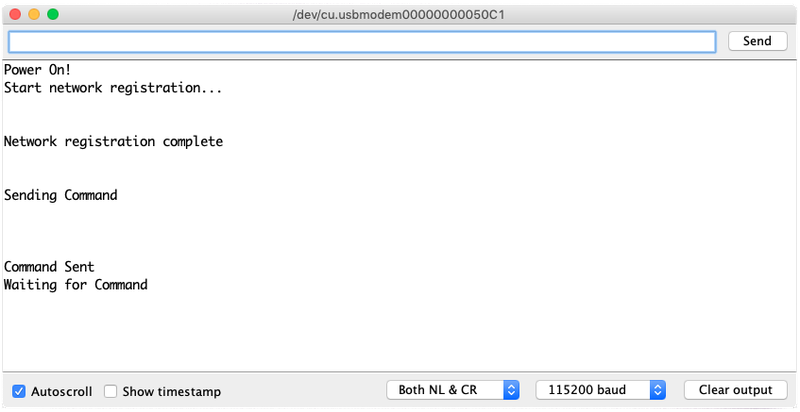 You can also return a Command from your machine and have seen how to receive it with the Wio LTE.